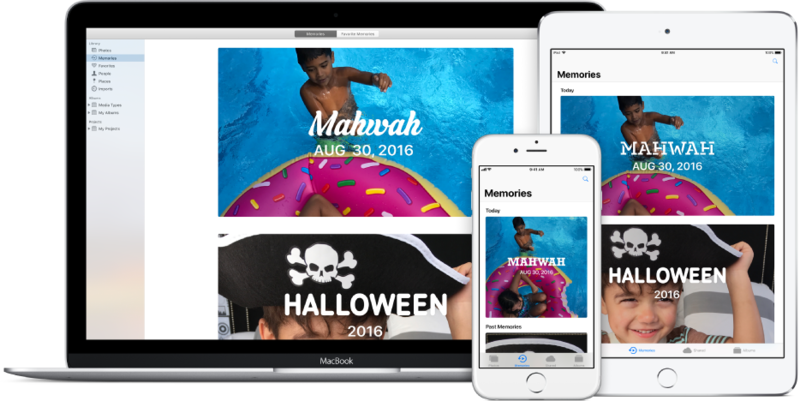 With iCloud Photos, your photos and videos are always with you, no matter which device you’re using. 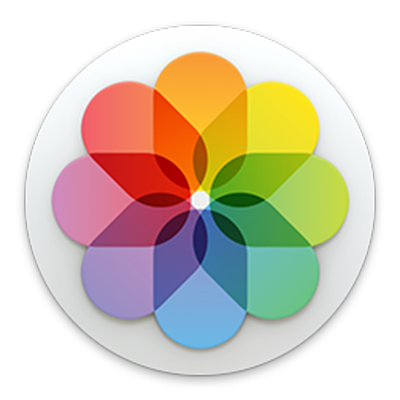 Take a photo on your iPhone and it appears automatically in Photos on your Mac. 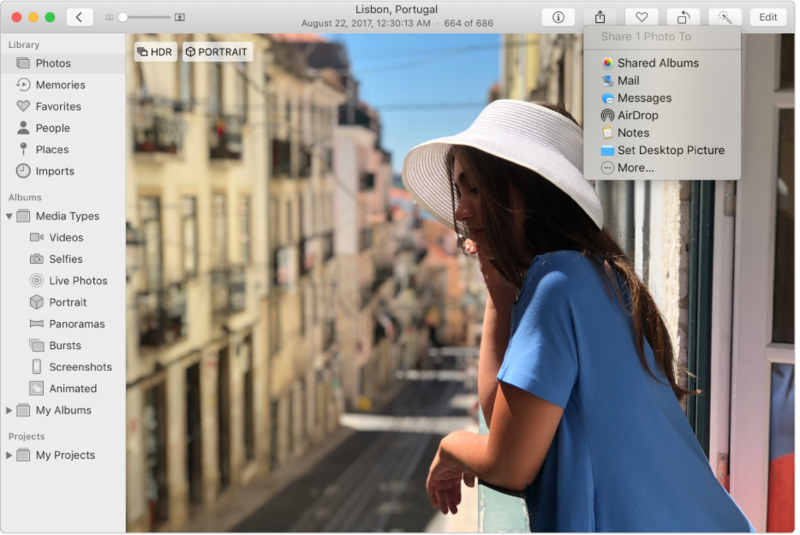 You don’t have to be a pro to edit like one—use the Photos editing tools to give your pictures just the right look. 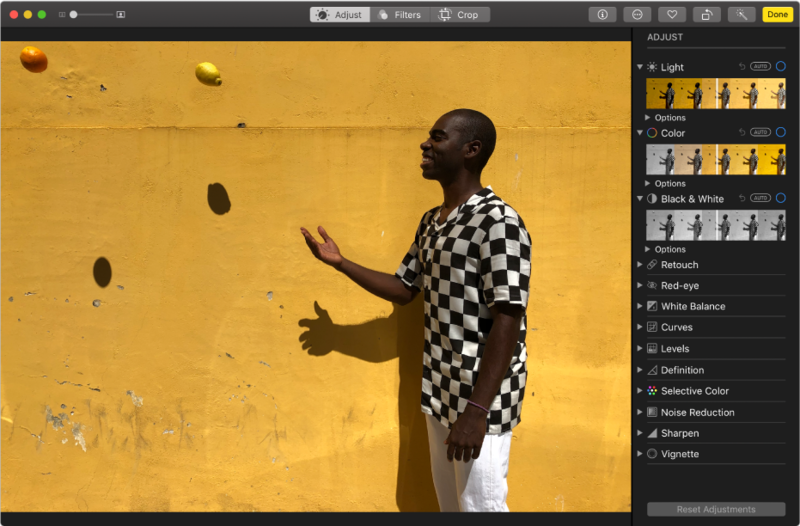 You can crop and straighten, remove red-eye or blemishes, improve light and color, and more. 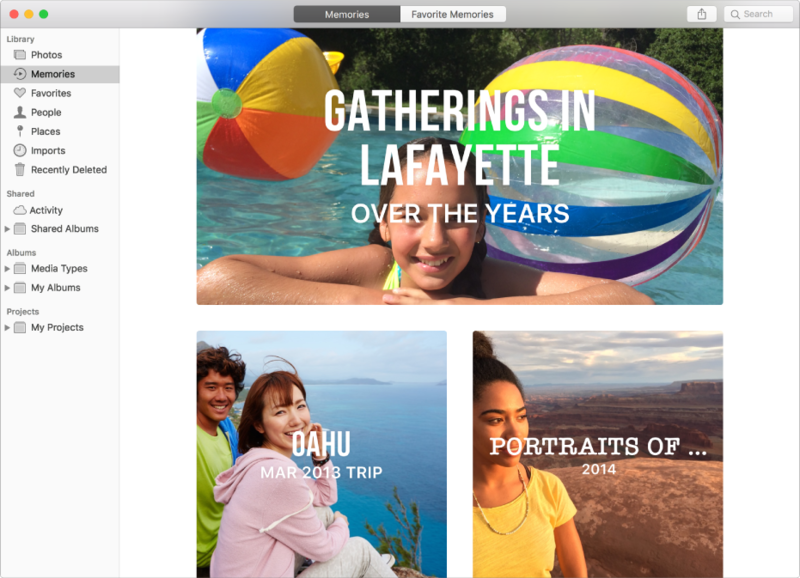 Relive special moments and fun events as you view memories—collections that Photos automatically gathers for you. And when you have great photos that you just have to share, create a shared album and invite family and friends to view it. To browse the Photos User Guide, click Table of Contents at the top of the page. If you need more help, visit the Photos Support website.